Reservations for the Westin Boston Waterfront, once again our main hotel, wil open on Thursday September 13. We will send another progress report with additional details, or you can keep an eye on social media. You can find hotel information on our web site at https://www.arisia.org with detailed instructions at https://www.arisia.org/Hotel-FAQ. If you have any hotel-related question not covered in the FAQs you can email @email. 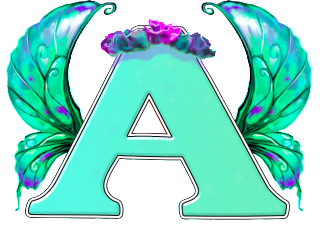 Online registration for Arisia 2019 is open: https://reg.arisia.org. Through Sept 30, the price of a full weekend membership is $55. The most up-to-date instructions are available at https://www.arisia.org/RegInstructions. If you have any registration questions contact @email. 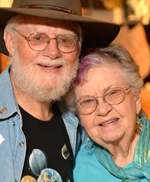 Bjo and John Trimble have been active in fandom for over 55 years. They were behind the first SF convention Art Show as we know it, "Project Art Show" at Pittcon in 1960, and the first Masquerade, the "Futuristic Fashion Show", at Solacon in 1958. Bjo continues to judge Masquerades and create costumes, while John has MC'd many events. At Arisia 2019, they'll both be Masquerade judges, as well as on panels. Both Bjo and John worked on the original "Save Star Trek" Campaign. They rallied the public to ask NASA to name the first space shuttle the "Enterprise". They are also active in the Society for Creative Anachronism. Look for them to tell you of their adventures at the con. Welcome, Bjo and John! Arisia is run by fans for fans and you can help out in big and small ways. Volunteer opportunities are currently available for pre-con and at-con positions. Visit our volunteer information page at https://www.arisia.org/Volunteer. Or drop an email to @email with your skills and interests.